Where have all our young men gone? An overwhelming number of black males go either to prison, or politics. The routes are similar, but entrepreneurial-oriented John Hope Bryant is a young black people need to get to know. The fifty-something head of Operation Hope exemplifies the entrepreneurial mindset blacks need to know and emulate. These days most blacks’ vision of empowerment is through the route of elective office. While our race’s “talented tenth” spend time, energy and money posturing to run for office;” what blacks really need is tutorials on effecting economic empowerment. Blacks that continue to repopulate and celebrate career politicians, by repeatedly sending them back to office, need leadership beyond the realm of politics. John Hope Bryant, founder and CEO of Operation Hope, can illuminate the path toward liberation for blacks. The author of numerous books highlighting that true power comes from economic independence, not in politics; John Hope Bryant is showing blacks the way to more prosperity. Bryant’s economic message is spelled out in “The Memo” publication. Blacks need less politics and more economic empowerment strategies. Small is the number of blacks that see business as empowering activity. Too many blacks want a change to come about in our economics without changing dysfunctional practices. One such habit is elevating politicians to celebrity statuses. Conveners of church or organizational conferences and seminars should pare down their Rolexes of politicians and broadcast news readers in lieu of experts like John Hope Bryant, an entrepreneur, author, philanthropist, and prominent thought leader on financial inclusion and economic empowerment. Bryant is focused on making free enterprise work for all and believes people have potential to prosper, with “a hand up and not a hand out.” Bryant is responsible for the modern “Silver Rights Movement” and highlights the importance of investing in African American-owned institutions; and blacks’ entrepreneurial ventures in our own neighborhoods and making informed decisions with finances. 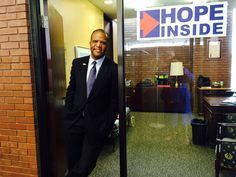 Bryant founded Operation HOPE, Inc. following the 1992 Los Angeles Rodney King riots. The organization has an $8 million annual operating budget and Bryant a million dollars plus personal net worth. Bryant’s teachings remind blacks to “Keep Hope Alive.” Through Operation HOPE and its partners, Bryant is responsible for more than $2 billion of private capital supporting low-wealth home ownership, small businesses, entrepreneurship and community development in under-served communities across the U.S. Operation HOPE operates partnerships in more than 300 U.S. cities. Bryant’s projects have served more than 1.5 million clients with government to private sector partners. Bryant provides an example of ‘civil” and “silver rights” coming together, as operator of HOPE Inside Atlanta on the campus of the King Center and as anchor tenant of the Martin Luther King, Sr. Community Resource Complex. Hey Buddy!, I found this information for you: "Business Exchange: Keep Hope Alive by William Reed". Here is the website link: https://blackmeninamerica.com/business-exchange-keep-hope-alive-by-william-reed/. Thank you.